Come explore the wonderful world of mini-albums with us! They're the perfect place to tuck photos for a favorite family trip, sport event, or other memorable time! Prima's complete line of products make creating so easy with a wide variety of high-quality papers and accessories. Today three of our album-making experts created a full album just for you! "I adorned my pages with amazing Santorini flowers. I embossed some flowers stamps and colored them with watercolor pencil and the Finnabair Acrylic Paint in METALLIQUE DEEP WATERS." Ola chose the Cherry Blossom line to feature on her gorgeous, romantic album! Next up is a stunning album featuring Love Story by Kavitha! If you love a wide variety of projects then make sure you check out our other posts this week! 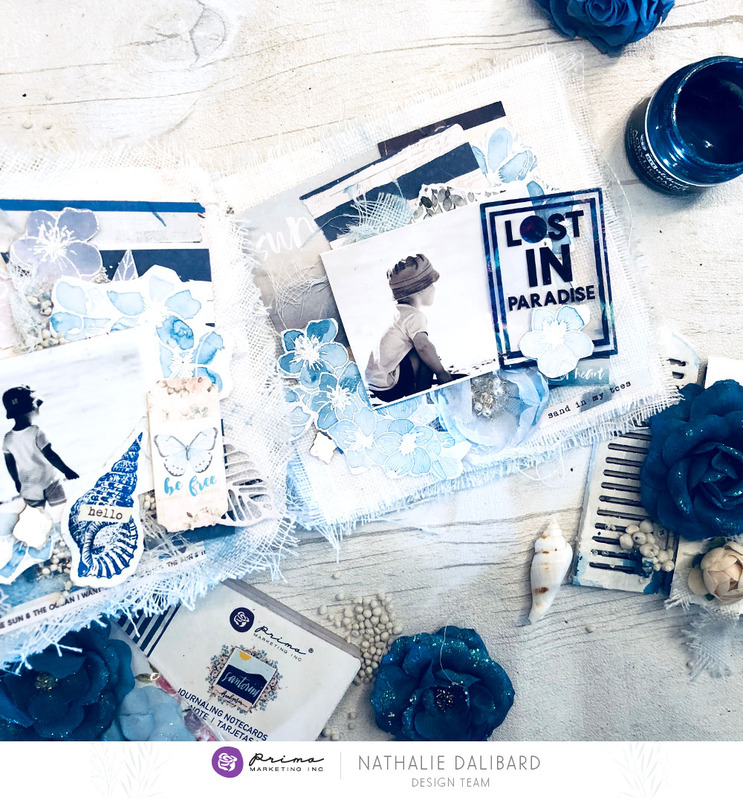 Karine created her first ever mini-album here, we explored the lovely Santorini line here, see a sparkly planner spread by Nupur here, and watch how Miranda uses her PTJ for an art journal here!